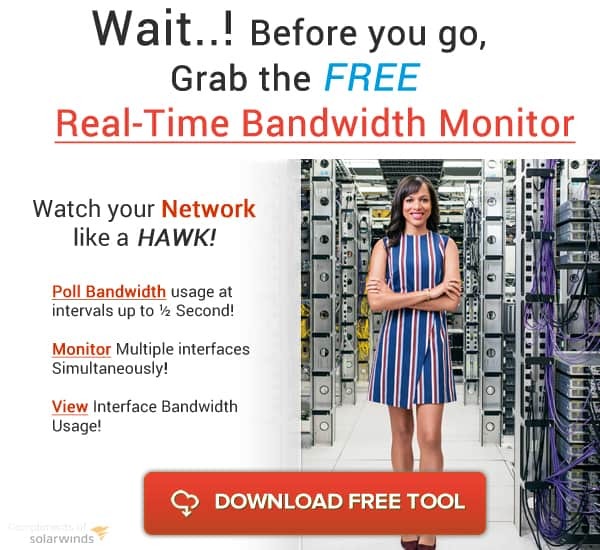 WhatsUp Gold 2017 is the latest network monitoring software from IPSwitch, is able to check the status of your entire network, send alerts and generate reports. As usual, WhatsUp Gold is designed for medium to large enterprises. It can monitor networks as large as 20,000 devices. Previous versions of WhatsUp Gold have always been complex to use. But with 2017 version, IPswitch strictly focused on user experience. They completely overhauled and redesigned its interface. Its new map-based user interface allows you to visualize connections between devices and check their health. WhatsUp Gold comes in four different editions with base prices. Each edition or pre-set package offers a predefined range of capacities at a starting price. If you know your requirements, go for the package that matches them and get the extra add-ons that you need. For example, you might only need the basic version but for some reason also require an advanced feature. This version performs elemental network monitoring actions, such as discovery, availability, alerting and reporting. It comes with 6 basic features but at a more reasonable price. 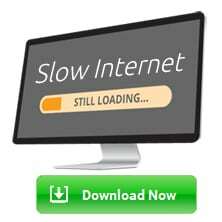 It is an improvement from basics to proactive server and network monitoring. It is an improvement from ProView. 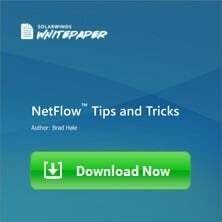 This edition includes features such as traffic flow, application and virtual machine monitoring. 4. TotalView Plus, starting from $5,495. It includes every feature plus “Scalability pollers” and Configuration Management. TotalView Plus is the master of monitoring tools. It comes with 16 different features but it has the highest price. 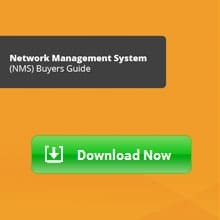 To get a detailed price, you would need to specify your network requirements and get a quote from IPSwitch. To get an idea of the license packages and the average prices, please check the official WhatsUp Gold pricing website. For more details on the features, check the following section. This section highlights some of the core and additional features that make WhatsUp Gold 2017 stand out. This is the most basic feature. The 2017 version comes with a more intelligent discovery engine. 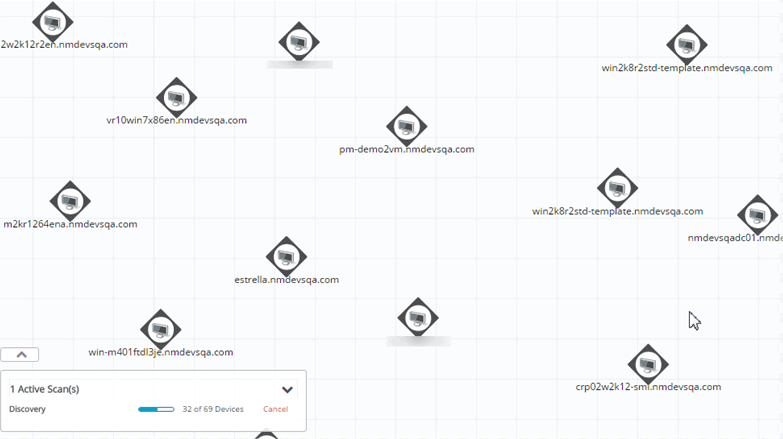 It automatically finds and adds devices to the discovered network map. The discovery process creates an inventory of the devices with extra information, such as type, vendor, serial number, etc . This feature generates reports that can be added to the dashboard. With this, you can display real-time information such as CPU, memory, interfaces, pings, etc. WhatsUp Gold 2017 uses “Action Policies” to handle alerts. This way, alerts can be sent via text or email, or different action can be taken such as logging, restarting applications or running scripts. WhatsUp Gold’s reporting can be seen through the main dashboard, built-in reports or application reports. The dashboard shows application’s health, historical status, critical problems and state logs. Built-in reports can cover network performance, inventory information and device availability. Application reporting can be used to determine faults on an application at the component level. 5. Automatic and Manual Failover. This is a new feature from WhatsUp Gold 2017, available to all expect the basic version. It ensures high availability in your network. An automatic fail-over can be configured based on a specific event or condition. A manual fail-over can be set anytime there is a planned outage or a maintenance window. This feature is available in all, except the basic edition. It allows WhatsUp Gold to extend its capabilities to one or many remote networks. A central site can be defined to coordinate information feeds from these remote sites. This collaboration provides high visibility to many locations from a single server. This is a feature of TotalView and Total Plus. 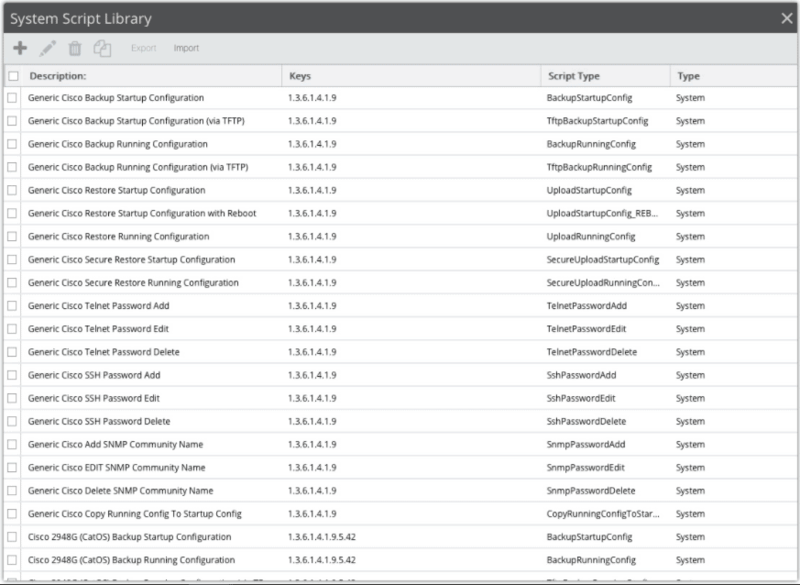 WhatsUp Gold provides you with turnkey application profiles that allow you to monitor the availability performance for applications, such as Exchange, SharePoint, SQL Server, IIS, Active Directory and Hyper-V monitoring. It can also check the availability of Linux systems and Apache Web Servers. 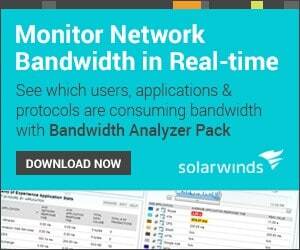 VM monitoring feature is included in the TotalView and Total Plus. 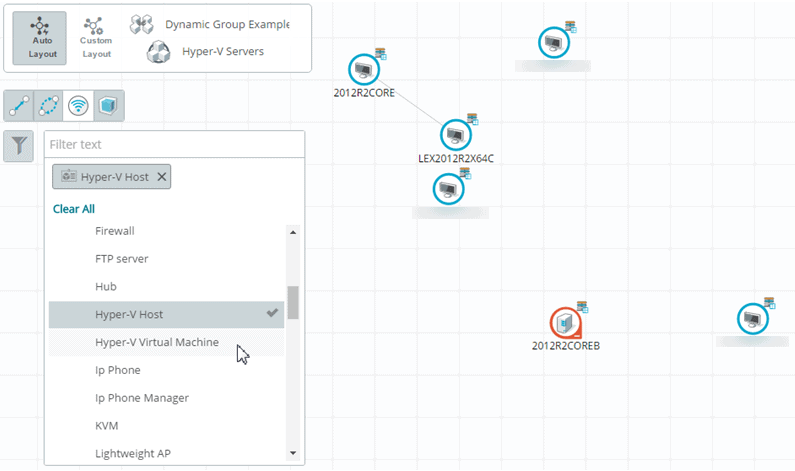 You can create dynamic Virtual Infrastructure maps of either Hyper-V or VMWare. This map displays hosts, guests, host/guest relationships, clusters and their actual status. Five scalability pollers allowed in Total View and ten in Total Plus. This feature makes it easy to support large and geographically diverse networks. 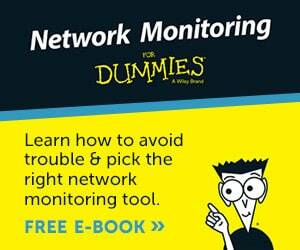 When your network grows you can accurately place extra monitoring power wherever you need it. This feature is only available for Total Plus edition. WhatsUp Gold can search and execute configuration files to centralize troubleshooting and management. You can get alerted in case there is a change, either authorized or unauthorized in the network configuration. Before installing the product, make sure that your system meets the minimum requirements suggested by IPSwitch. Although the previous versions of WhatsUp Gold have been quite popular, their following has been only in the Windows world. The software is only supported by Windows systems. If your goal is software evaluation, you can install WhatsUp Gold in Windows 7, Windows 8 or Windows 10. But if you plan to install it in production, your only option is Windows Server (2008, 2012 R2 or 2016). To install WhatsUp Gold 2017, you need at least quad-core processors running at 2.6GHz. And if you decide to install it on a Virtual Machine “VM”, make sure that the guest machine has at least four CPU cores. A minimum of 8GB or RAM is needed to be able to monitor at least 100 devices. WhatsUp Gold needs a database to store data about monitored devices, system and configurations. The database can be co-located in the same machine or hosted on a remote server. WhatsUp Gold 2017 includes a SQL Server 2014 Express database platform by default. IPSwitch did a great job improving the user experience and network maps of the software. This technology allows administrators to detect process and react to IT problems much faster. WhatsUp Gold 2017 is not recommended for small networks. But if your intention is to monitor a medium or large data center then this is the right product. And it doesn't end here. Upcoming features, such as support to hybrid cloud environments, like Amazon Web Services and Microsoft Azure will increase the benefits of the software. Give WhatsUp Gold 2017 a free try for 30 days. If your system meets the minimum requirements you can download a trial from the official website and test the software.